Getting old isn't the worst thing in the world. In our youth-obsessed culture, that's actually a provocative statement, and it's one that's made in quite moving fashion by ad agency Karmarama in this commercial for Age U.K., a British advocacy group for older people. The ad, titled "Love Later Life," features a poem by English beat poet Roger McGough that was commissioned for the spot and is expertly read by 91-year-old Sir Christopher Lee. It's the one inescapable element of the human condition that connects us all—nothing can stop us from growing older. 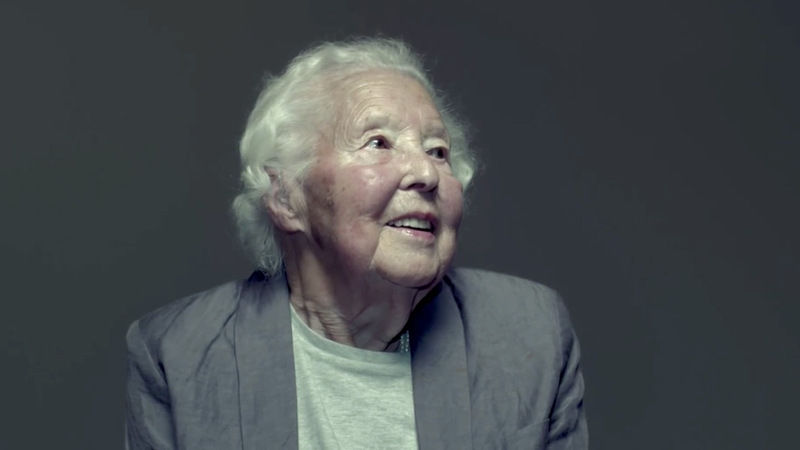 But the ad's simple visuals of people aging from childhood to age 102 let the message truly shine—that age, in some ways, really is a state of mind. If you want to know more about what it's like to be old, the older people at the end of the ad have given interesting testimonials about the challenges of aging. (Sadly, despite the one line in the poem, none of the stories involve taking up Zumba.) Despite troubles with illness and money, and the encroaching icy hand of death, they all claim that growing old is far better than the alternative, and actually has certain joys and advantages. Lee said the poem was basically about him and he was "speaking about myself," according to Karmarama creative director Sam Walker. In the same interview, Walker also claims Lee had never done an ad before. Which might be true, I guess, other than all those ads for his movies, and the amazing ads for his own heavy metal album, A Heavy Metal Christmas Too. Let's just say it's his first ad hawking something other than himself. I guess you're never too old to try something new.